Social marketing for real estate agents is a must in today’s world. But if you plan on using social media as part of your realtor marketing plan, there are a few things that you must know, first. Here, we will tell you about the ins and outs of social marketing. With just a bit of work, social marketing can put you in touch with a much larger clientele than you already serve. The heavy lifting is that you must be able to ascertain and communicate what makes you so unique? 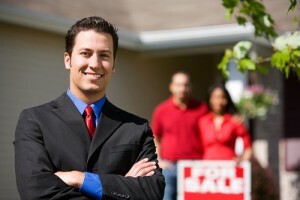 Why if I have a plethora of Real Estate Agents to choose from should I choose you? What do you deliver that’s uniquely you? What their worries and concerns are? What do they hear from others when they are thinking of buying or selling a house? What kind of discussions or questions are they asking friends? Let clients know that they can contact you through social media outlets. There are also a few things that you should not do if using social media for realtors. Firstly, never use a tone that is anything but professional. You will also want to be careful about grammar and punctuation. Do not overuse things like hashtags in your posts. If you have personal social media accounts, keep them separate from your work accounts. Do not ignore customers when they try to interact with you. Doing this is a surefire way to make them dissatisfied with their interaction. Dissatisfied customers may seek real estate services elsewhere. Try to publish your content directly to the page, too, instead of using an app. Realtor marketing can be complicated, whether online, in print, or face-to-face. But with just a bit of focused time investment, this sort of marketing is great for targeting your local area and potential clients. Be sure to link your social media presence with your current webpage. If you are unsure about how to go about marketing with social media, feel free to consult a professional. Lots of professional services can help with online marketing of all kinds. Seeking this sort of advice is quick, easy, and can help you get the most out of online marketing.